Every participant in Asheville Youth Rowing Association must be able to swim and to pass a swim test. Youth rowers and coxswains begin in a learn to row class and then graduate into middle school and/or novice boats. 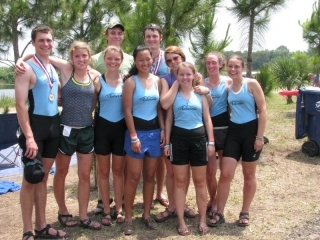 Once a participant in the 8th grade and above has raced for one year, they are characterized as a varsity rower or coxswain. During the winter months when daylight savings time or weather prohibits rowing in the afternoon, we offer conditioning and strength training in our boathouse. On Saturdays, we row during the morning. Lake Julian Park, Long Shoals Road, Asheville, N.C. 28803. Go all the way around the park until you see our boathouse complex. In addition to winter training, AYRA has two race seasons: fall and spring. AYRA also rows during the summer, offering practices four to five days per week. Rowers must wear form-fitting clothing that will not get caught in the tracks of the boat. No rower will be allowed to practice without a full water bottle, socks and running shoes. In the event the water is not rowable, running and erging will substitute for practice. Sunscreen and sunglasses are highly recommended. If a member uses an inhaler, it must be taken into the boat or the rower will not be allowed to practice. AYRA has zero tolerance for drugs, tobacco, alcohol, attitude and/or drama. Every member must treat other members as well as their parents and coaches with respect. Every member must be able to swim and, if doubtful, must pass a swim test. Every member must be medically fit for a competitive sport. If requested, the members’ parents must provide a fitness form from a physician. 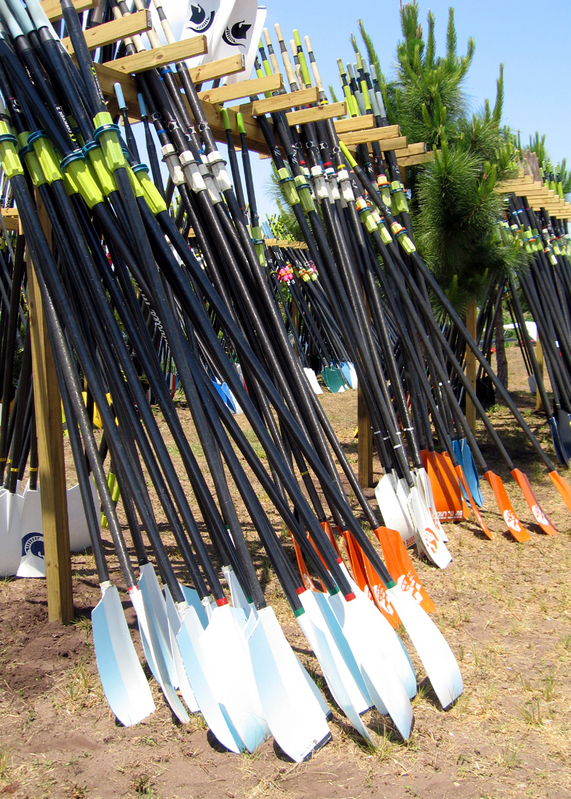 Every members’ parent(s) must sign a AYRA and USRowing sanctioned waiver. 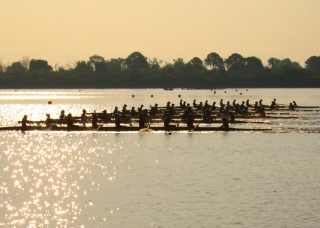 The ability to compete in races depends on three things: rowing technique, erg score and commitment to practices. 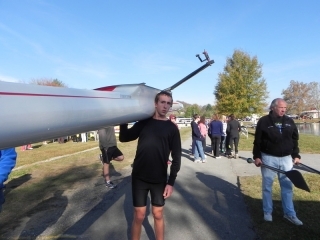 Asheville Youth Rowing Association participates in races, called regattas, against other youth rowers all over the southeast. Spring races are called “sprint races” and are approximately 2000 meters. Fall races are called “head races” and are approximately 5000 meters. $600 for the spring race season which is January 1 through May 31; and $150 for the summer season which is from June 1 through August 31. Dues do not include the cost of unitards to race in, entry fees for regattas and hotel and meal costs for race attendance. Scholarships are available for any young person whose family is unable to pay dues. We do require that a scholarship application be completed. All such information is kept confidential. AYRA has an active parental support group. Volunteer opportunities are abundant. Once a teen has joined, parents will be able to sign up on our secure email group for various tasks. AYRA has found that teens know immediately if they love or hate rowing, and those who stay love it. Rowing is a highly “addictive” and competitive sport. Parents should expect their teen, who formerly had no interest in working out, to ask for an ergometer for his or her birthday. Parents should expect their teen to have anxiety about the prospect of missing practice. When we take our two week winter and summer breaks, rowers email asking for practice to begin early. AYRA is a true family – all for one and one for all. Our past members who now row in college stay in touch, come back to visit and tell us how much they miss the AYRA family.